Singaporean Senior Minister of State for Trade and Industry Dr. Koh Poh Koon shared his views on relations with Kazakhstan, the prospects of cooperation with AIFC and the future of talks on a free trade agreement between Singapore and the Eurasian Economic Union, among other subjects, in this interview. Singapore is seen by Kazakhstan as a key partner in Southeast Asia. Many of the reforms in Kazakhstan are based on its successful experience. How has Singapore supported implementing your solutions in Kazakhstan and have these solutions been executed successfully in other countries? Singapore welcomes Kazakhstan’s interest in Southeast Asia and we are glad that Kazakhstan views us as a good partner in the region. Kazakhstan and Singapore share a close relationship – President Nursultan Nazarbayev was a personal friend of the late Mr. Lee Kuan Yew. Singapore is happy to share our developmental experience with our friends and partners and I’m happy to note that it has been useful to Kazakhstan when formulating your own policies. I am also heartened that these policies, spanning across areas from education to public administration and pension reform, have been successfully implemented. To support Kazakhstan’s public administration reforms, Kazakhstan and Singapore have established institutional linkages, such as the collaboration between Singapore’s Civil Service College and Kazakhstan’s Academy of Public Administration on leadership training, with two workshops for 150 Kazakh officials conducted in 2016. The Lee Kuan Yew School of Public Policy also renewed its partnership with Nazarbayev University to offer Masters programmes and courses to promising Kazakh executives. The Lee Kuan Yew School of Public Policy has conducted courses for more than 700 senior Kazakh officials to date as well. The Singapore Cooperation Enterprise (SCE), an agency of the Singapore government, has also been active in facilitating deeper collaboration between Kazakhstan and Singapore by organising study visits and workshops for Kazakh officials. For instance, there was a study trip last November for the Housing and Construction Savings Bank of Kazakhstan to learn more about Singapore’s public housing policies. I understand that the bank’s mission is to promote homeownership in Kazakhstan and I hope Singapore’s experience with public housing can contribute to that mission in a meaningful way. 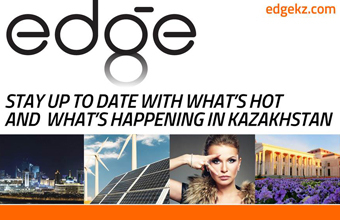 SCE is also working with the Kazakhstan Embassy in Singapore to organise a series of cyber security, digital electronics and aerospace workshops for Kazakh government officials in Singapore in 2019. Singapore’s growth over the past 53 years has been a result of Singapore adopting best practices from various countries around the world and more importantly, adapting it to the Singapore context to ensure its continued relevance and success. In the same way, Singapore’s “solutions” can also be adapted to fit the local context of other countries. We have seen this in a number of places, including in Tatarstan, Russia. The President of Tatarstan, Rustam Minnikhanov, has personally cited Singapore for inspiring many of Tatarstan’s reforms, including the transformation of Tatarstan into one of Russia’s most investment friendly regions. What are your views on establishing the Astana International Financial Centre? 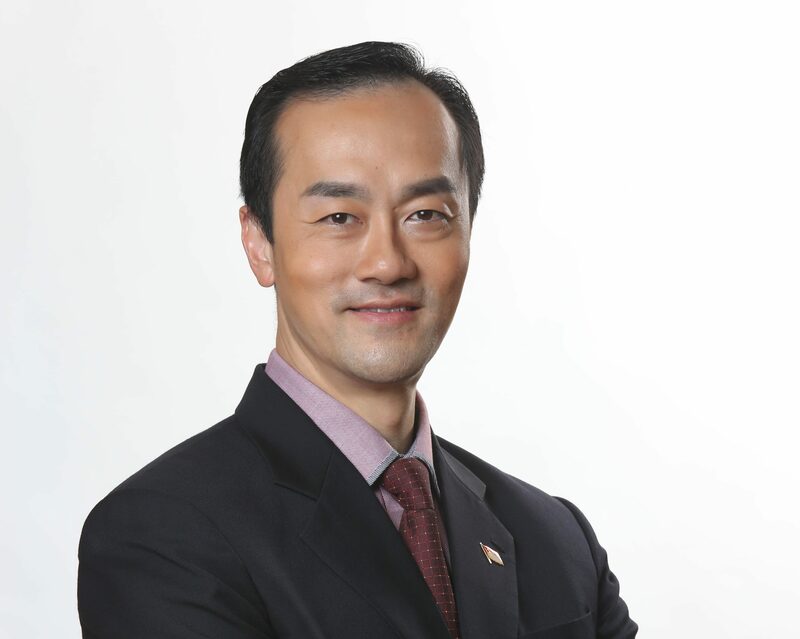 How promising can it be for Singaporean investors? Singapore welcomes the establishment of the Astana International Financial Centre (AIFC) as part of Kazakhstan’s efforts in becoming a gateway for foreign investments across Central Asia. Singapore looks forward to the development of the AIFC and is confident that the AIFC will have a positive impact on the financial landscape in the Central Asian region. I understand that FinTech is one of the key activities of the AIFC. This could be a potential area within which to explore collaborations and connections with the FinTech ecosystem in Singapore and the Central Asian region. Despite the efforts made by certain powers to isolate the Russian economy, Singaporean business, instead, has opened a window for Russia, providing an opportunity to interact with the whole world. What is Singapore’s interest in Russia? Singapore believes in maintaining good bilateral ties with as many countries as possible. Our policy is to serve Asia as well as our trade partners from all over the world. We thus view our relationships with our partners as “all-weather relationships” and will continue to promote opportunities for our trade partners within the rule of law. This principle and policy apply to Russia and to any other country that trades with Singapore. With over 80 percent of the world’s top trading companies anchored here and a strong network of global companies, Singapore is in a good position to serve as a gateway for Russian and Kazakh companies to venture into the Southeast Asian market. We are a safe and reliable springboard from which Russian and Kazakh companies can expand into the region. Our agencies provide a wide suite of services to facilitate this and we have many success stories. Singapore has also developed in-depth market experience and strong regional connectivity through our membership in the Association of Southeast Asian Nations (ASEAN). This has helped to cement our status as a regional trading hub. Our strong commitment to free trade is echoed in our policies and is reflected in our strong trade infrastructure and skilled, globalised workforce. What has been the outcome of the free trade agreement (FTA) draft between the Eurasian Economic Union (EAEU) and Singapore? What will be the format and content of the agreement? What key areas are identified? Is there any chance for a similar project between Kazakhstan and Singapore? A joint feasibility study on an EAEU-Singapore FTA by the Eurasian Economic Commission (EEC) and Singapore found that there is much scope to catalyse, expand and diversify trade and economic relations through the FTA. At present, the FTA is set to be the first comprehensive trade agreement negotiated between the EAEU and an external party. It covers areas beyond traditional trade in goods and includes services, investment, e-commerce, competition policy and intellectual property rights. Kazakhstan, as a member state of the EAEU, will naturally be able to enjoy the benefits of the EAEU-Singapore FTA when it enters into force. It is, therefore, not necessary to duplicate this effort by Kazakhstan and Singapore embarking on a separate bilateral FTA. There are also existing agreements between our countries. Kazakhstan and Singapore have concluded a bilateral investment treaty which was signed when the Prime Minister of Kazakhstan Bakytzhan Sagintayev visited Singapore last November. How do you see the future and cooperation perspectives between EAEU and ASEAN countries? The ASEAN market holds huge potential for EAEU companies. The region is experiencing development at an unprecedented pace, with a combined GDP worth $2.6 trillion and a consistent upward growth trajectory. Our combined population of more than 640 million presents a huge market for companies looking to grow their presence in the region. ASEAN is projected to become the fourth largest economy in the world by 2030, after the U.S., China and the European Union (EU). The EAEU-Singapore FTA will be an important step towards strengthening trade infrastructure between Singapore and the EAEU and might potentially be a stepping stone for an eventual ASEAN-EAEU FTA, which will bring together a collective market of 780 million people and combined GDP of over $6.6 trillion and deepen integration between our regions. Currently, both regions are involved in cooperation activities geared towards enhancing economic relations, specifically those under the post-2017 ASEAN-Russia Trade and Investment Cooperation Work Programme. ASEAN and the EAEU are also working towards finalising a non-binding memorandum of understanding (MOU) between ASEAN and the EEC on economic cooperation. In the immediate to mid-term, I look forward to more cooperation between ASEAN and the EAEU in the areas of customs procedures and trade facilitation (CPTF), sanitary and phytosanitary (SPS) measures, standards, technical regulations and conformity assessment procedures, e-commerce, investment and SME development, among others. This interview was originally done by Karlygash Ezhenova, Editor-in-Chief of Exclusive.kz magazine, and published here with permission.